Bulk Discounts valid on BLX Blade, BLX Six-One, BLX Pro Open, and more! 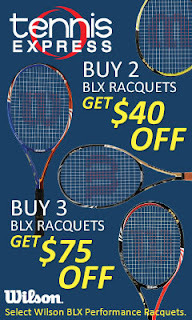 If you are trying to stock up on Wilson rackets, this might be a good time to buy. Save up to $75, when you buy 3. Save $40, if you buy 2.